6월 29일은 성 사도 베드로와 바울로의 축일입니다. 이날 성 바울로 성당 명명축일을 맞아 조성암 대주교께서 축일 및 주일 성찬예배를 집전하셨다. 성찬 예배후 여성회원들이 정성껏 준비한 축일 특별 식사가 모든 교우들과 귀빈들을 모시고 성대하게 진행했습다. 인천 성당 수호성인이신 성 사도 바울로께서 많은 중보기도로 주님께서 조성암 한국정교회의 대주교와 성당 담임 사제인 다니엘 나창규 대신부 그리고 운영위원회 및 모든 성당 교우분들께 충만한 은총이 내리시길 축원합니다. On the feast day of Sts. 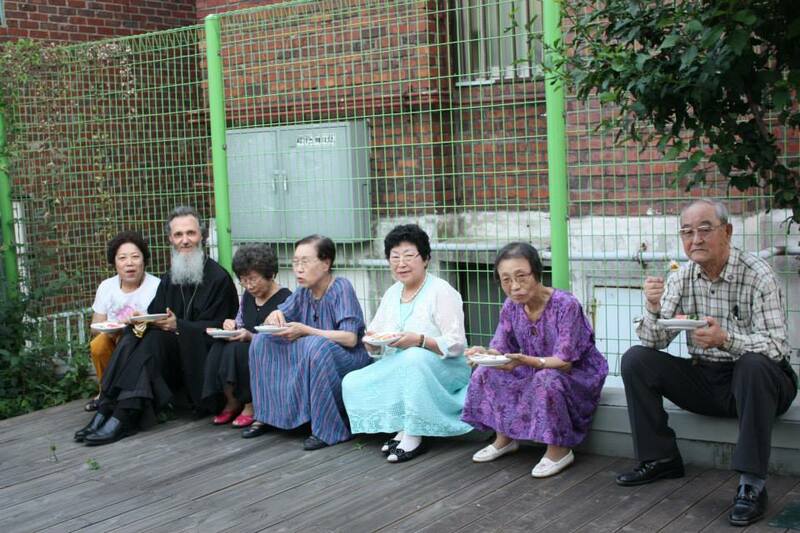 Peter and Paul, His Eminence Metropolian Ambrosios of Korea celebrated the Feastal and Sunday Divine Liturgy and delivered a sermon on "the Grace of our Lord besowed upon all the Chrisitans", and followed by the feastal meals prpared by the Philoptochos Society. 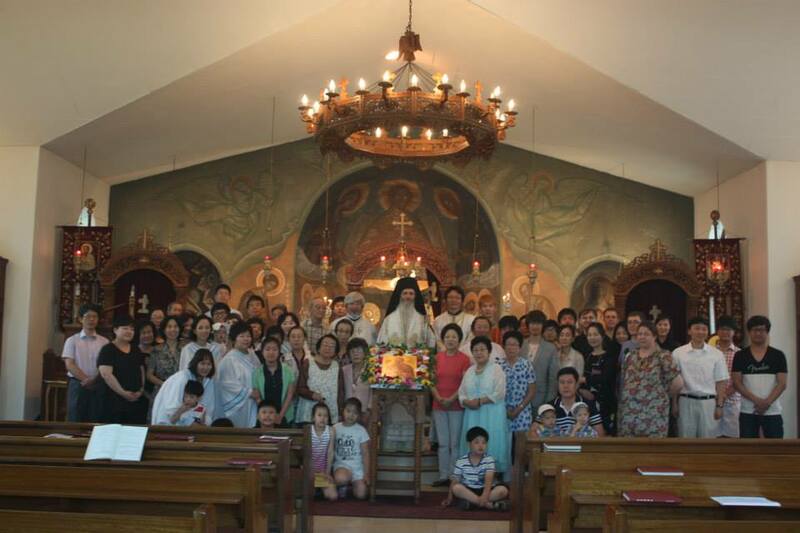 Icon of St. Paul decorated with flowers for the specilal honors from the parishioners offered is expressed on the name of St. Paul Orthodox Church in Incheon. 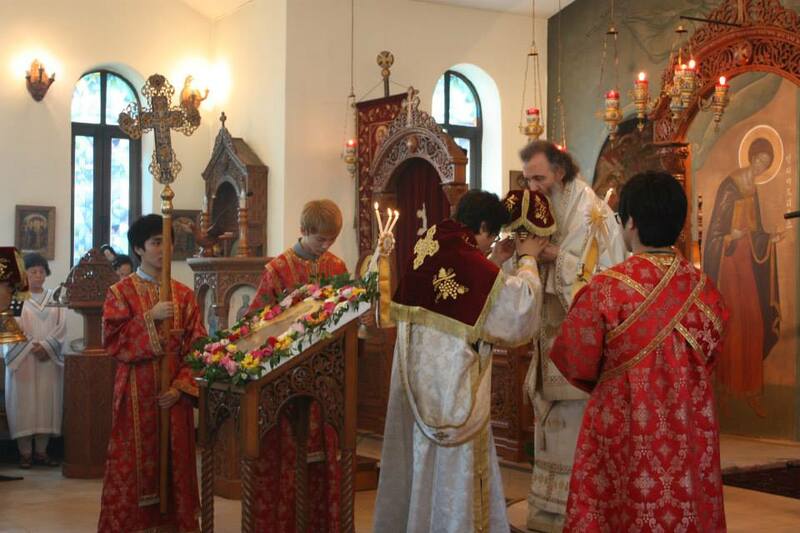 Before the Feastal Divine Liturgy on the name day of St. Paul, A Patron Saint of Inchoen Orthodox Community, His Eminence celebrated the feastal Vespers with Artoclasia which concluded the Vespers Service at the garden of Church, and contributed the rice cakes offered at the Service to the participants of the parish members and guests from Seoul.